When it comes to local wildlife removal, you should enlist the services of a company you can trust. If you reside in central or west Michigan, The BatPro can keep birds from taking over your yard and home. Bird infestation is especially prevalent in the colder weather when these feathered critters are looking for warmth and shelter. If you are trying to keep birds from living in flocks in and around your home, prevention is often the best method. Make sure there is no standing water on your property for long periods. The water is inviting to birds, and they will congregate around puddles for food and water. Cleaning your gutters can eliminate freestanding water and make it easier to reduce the number of birds in your yard. Be sure that your outdoor trashcans are clean and tightly closed since some birds will scrounge around the trashcans looking for food. Remember if you feed any birds that, you find in your yard, it will be more difficult to get rid of them. Trim your trees away from your home and prune the trees that attract birds. If you have a bird feeder in your yard to attract specific birds like cardinals or hummingbirds, you may want to change the food in the feeder. 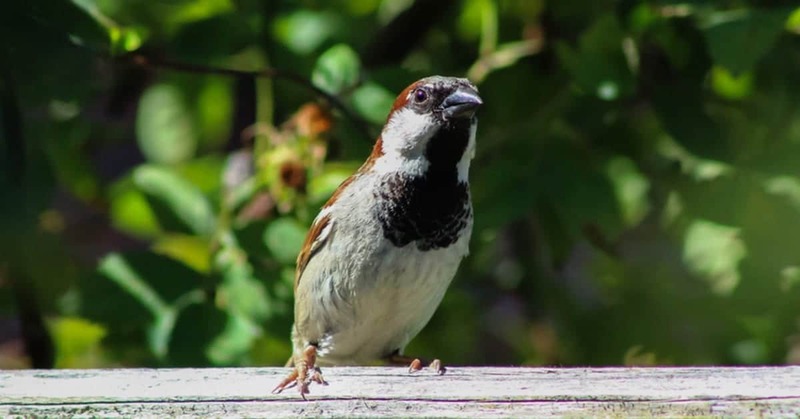 It is also a good idea not to use the feeders in the spring and summer since sparrows and pigeons are more likely to visit your property during the warmer months of the year. If birds are making themselves comfortable in your commercial space, this could be bad for business. Customers may not want to come to your establishment if they will be bothered by birds flying past them, perching near them or searching for something to eat. Bird infestation can be prevented by installing spikes on the windowsills to keep birds from settling there. Glue-like substances painted onto the building’s exterior can also keep birds away from your building. Door strips, which are made from high-quality plastic, can prevent birds from flying into a commercial building while still making it easy for customers to come inside. You can also ask your pest control contractor about netting to place under the rafters of the building. The netting will trap the birds so that they cannot set up nests within your commercial structure. To prevent birds from getting into the building, seal or caulk all cracks in windows and doors. Starlings can enter through openings that are only one inch thick; sparrows can get into ¾-inch openings. Use netting or mesh to cover loft and vent openings so that birds have to stay outdoors. It is important to note that most types of birds are protected due to the Migratory Bird Treaty and the Endangered Species Act. However, three species of birds – house sparrows, European starlings, and pigeons – are classified as nuisances and are not federal protection against elimination or control. The BatPro operates according to Michigan state ordinances, and we have the methods and tools to get rid of the birds most safely and effectively. Contact The BatPro, located in Gowen MI in Kent County to take advantage of Commercial & Residential Bird Control in West/Central Michigan. We are also qualified to get rid of many wildlife and pests, including bats, to make your home or commercial building safer and more comfortable. The BatPro has experience servicing the West-Central Michigan area, and we are happy to answer any questions you may have about the wildlife and pest control process. Get in touch with us today for a consultation and to set up your wildlife and pest elimination appointment.